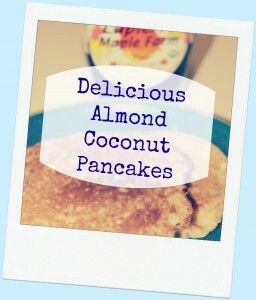 I took my very favorite pancakes and re-invented it into this delicious healthy almond coconut pancakes recipe. The results are scrumptious! These are a great way to sneak nutritious ingredients into breakfast for picky kiddos. I now make the dry portion in bulk for my own super fast homemade baking mix for mornings when we are in a rush. Cook until bubbles appear on the surface. Flip with a spatula, and cook until browned on the other side. Serve with organic maple syrup or with plain yogurt and fresh berries. Or both if it suits your fancy. Sprinkle toasted coconut on the top. Yum! I learned the trick of adding dry oats to the bottom of pancakes from my great aunt when I was a kid. It never fails to make your pancakes EXTRA fluffy! 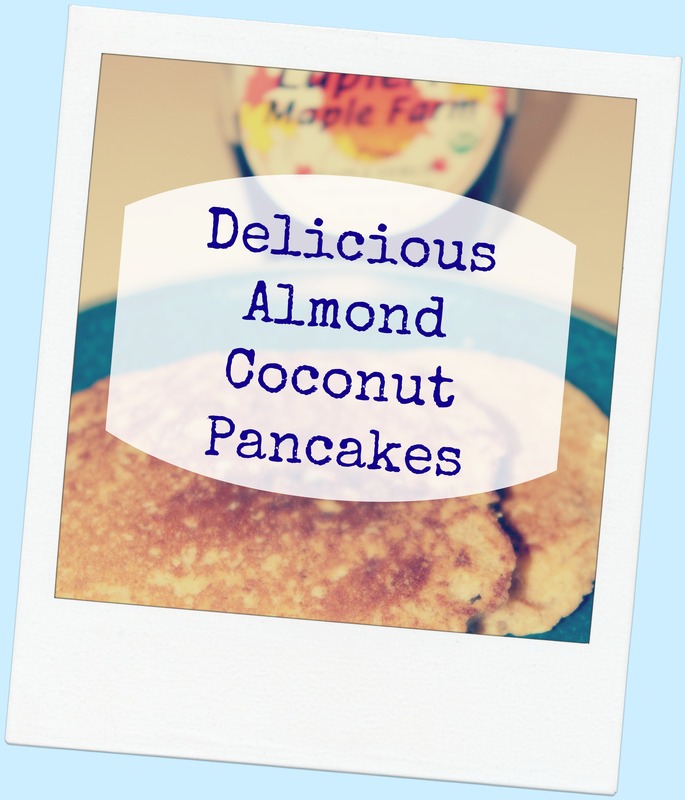 This entry was posted in Coconut Oil, Healthy Eating / Organic Recipes and tagged almond coconut pancakes, coconut oil, healthy recipes by gree8956. Bookmark the permalink.